Minnesota Artists Organization: "Starting in 1972, Scott Helmes began writing experimental poetry and pursuing mail art activities and artistic printmaking/drawings. Since then his writings have been published, exhibited, anthologized, collected and blogged locally, nationally, and internationally. His writing archive from 1972 to 1997 is in the Avant Writing Collection of The Ohio State Libraries. Currently Helmes resides in St. Paul and works professionally as an architect in Minneapolis." Scott Helmes: "My poetry is concerned with stretching the limits of language, exploring the multifaceted concepts of meaning, and encompassing all manners of reading. It also explores the concepts of typography, printing methods, and letter forms within the modern meaning of communication. 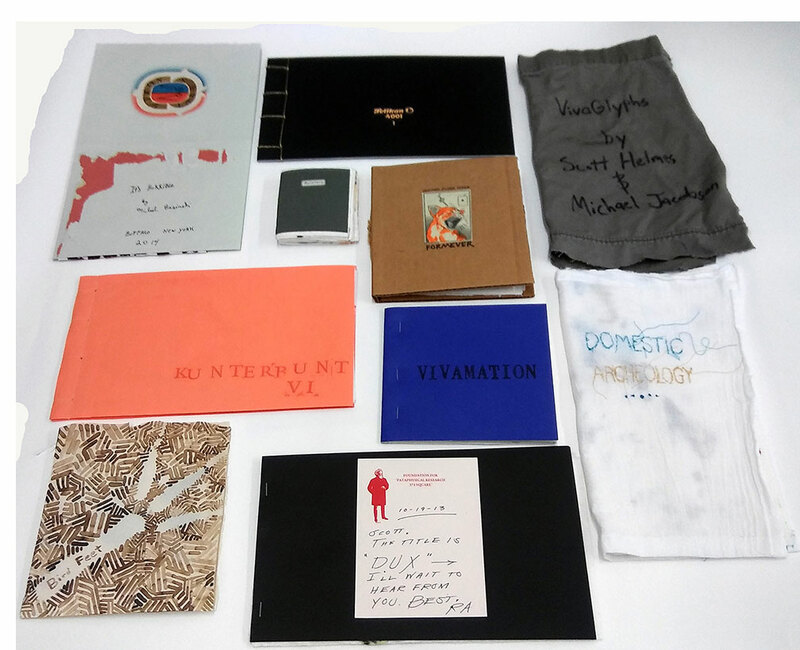 The extension beyond the oral traditions of poetry is accomplished by a variety of techniques and materials: rubberstamps, stencils, typography manipulation, and xerox/collage forms. The viewer is intended to become an active participant in the 'reading' of the work, infusing their intellectual and emotional readings along with my authorship." Minnesota: Stamp Pad Press, 2017. One-of-a-Kind. 10 books with pages made of Viva paper towels. Each book varies in technique, size, and construction. Each signed and dated by the artist. This is the third set of ten books initiated and coordinated by poet and artist Scott Helmes. Two to four paper towers were sent by Helmes to artists/poets. Each towel was prepped with pigment stick, ink, and water color. They were returned to Helmes after being added to and bound by the artist. 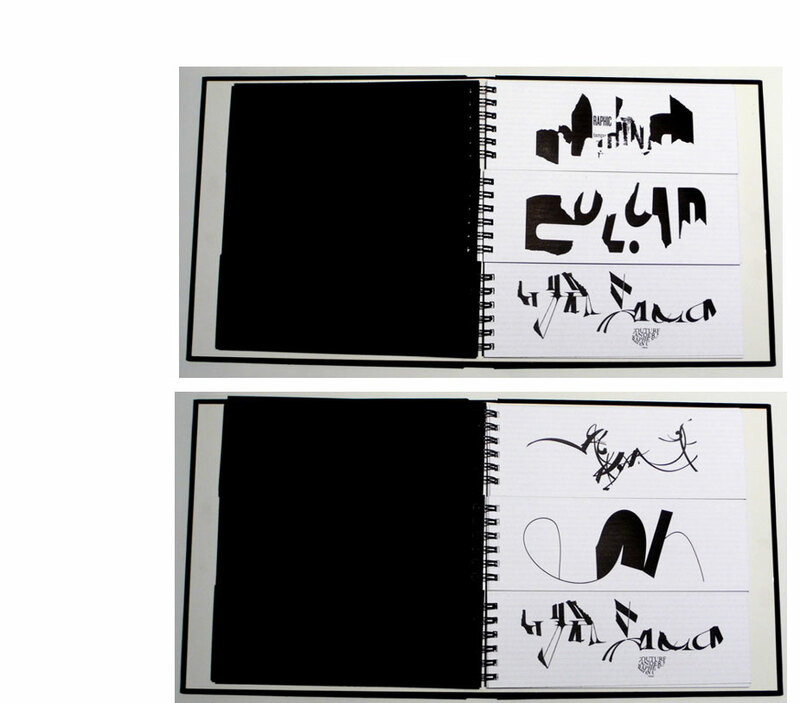 #30 "VivaGlyphs" by Scott Helmes & Michael Jacobson, Post-Asemic Press (Minneapolis, Minnesota). St. Paul, Minnesota: Stamp Pad Press / Hermetic Press, 2013. 7.375 x 7"; 14 leaves. Letterpress. Split page mix and match book. Printed by Hermetic Press on Neenah Classic Columns. Bound with concealed wire-0 hardbound by Midwest Editions. 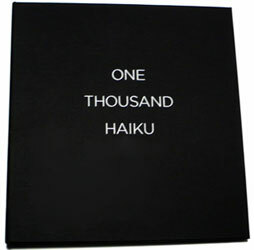 Scott Helmes: "Ten visual haiku poems, one each to a page. Each page is divided into three segments, one segment per line. The poems are bound together, thus enabling the reader to turn one line at a time. This results in one thousand possible poems (10 x 10 x 10), determined by the reader's actions." Minneapolis, Minnesota: Stamp Pad Press, 2010. Open Edition. 6.75 x 6.75"; 56 pages. Digitally printed. Soft cover. 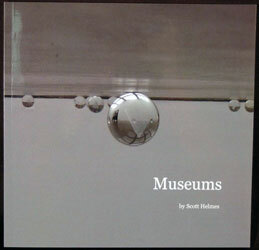 Scott Helmes: "Photographer visits numerous museums in 2009. He did 13 museums in 2 months. The photographs reinterpret the visual experience, both the work, buildings, and ideas." Minneapolis, Minnesota: Stamp Pad Press, 1996. Edition of 55. 24 x 8.75"; 10 leaves. Spiral bound. Collages. Laminated pages. Cutouts. Scott Helmes: "This is number seven in a series centering on the human body and relationships to its iconic being." 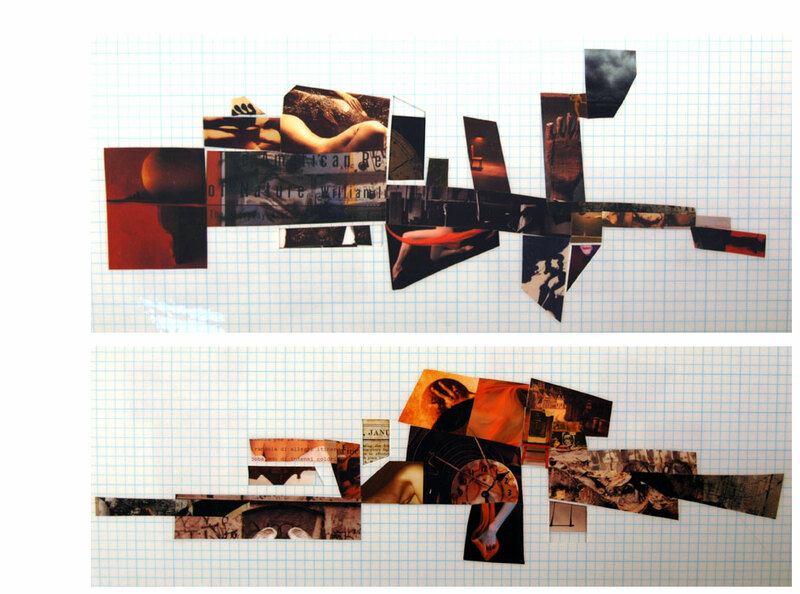 A visual poem using images from magazines. Body parts – deconstructed, reexamined, reconsidered, reconstructed, reinvented, repurposed.